Before launching a test, we recommend you to simulate it to make sure everything is working as you wanted to. You can visualize a variation or simulate the whole test. Here is how to proceed. You can try out independently each variation by clicking on the “Visualize” button on the action menu of the variation. Kameleoon will then open a new tab in your browser to let you try out the variation. The preview, unlike the simulation, will not let you test the targeting of your test. Note: it is recommended to use the preview mode if you want to validate quickly the display of your variation. However it is always preferable to launch the simulation in order to validate the whole perimeter of your test. Kameleoon gives you the opportunity to test your variations and your targeting options before launching the A/B test. To do so, start by clicking on the “Test finalizer” button. Select the variation(s) of your choice and click on the “Simulate” button located on the bottom of the window. Please note that this button will not be available if you have not previously chosen at least one variation to simulate. Kameleoon opens a new page in your browser and a “Simulation mode” pop-up window appears, allowing you to choose the variation(s) to test. Choose the variation(s) to simulate and click on the “OK” button. I you defined several variations, press on Maj + F4 (or function + Maj + F4 if you are using a Mac) to check another variation. Note that the simulation allows you to test the targeting of your A/B test. A tool-tip on the right bottom of the page shows if you are “Targeted” (that is to say if you fill all the targeting criteria and are likely exposed to this variation) or “Not targeted”. Turning back on the previous window from which you launched the simulation, you will find on the left bottom of the screen a URL. This URL can easily be shared with members of your team in order to have the consistency of your A/B test validated by several persons. 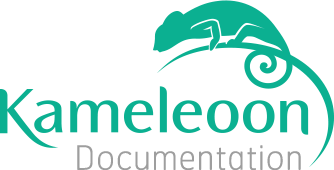 This URL is generated automatically by Kameleoon and stays valid for 1 hour. The changes you made to your original website will be seen only by people having access to this URL.